For some musicians, there is no better sound than that of a real acoustic drum set. If that’s you, I have a real treat for you in this review. 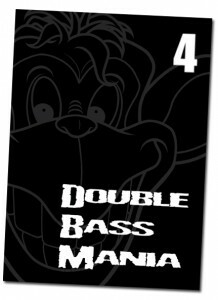 “Double Bass Mania IV: Groove Metal” is a new collection of loops released earlier this week by Beta Monkey Music. Just the words “groove metal” made me want it, but for good reason. I’ve been using drum loops from Beta Monkey for years, so I’ve grown to trust that when something is released, it’s ready for primetime. I have 15 loop packages from them ranging from very fast metal to punk and country. I tend to mix and match loops from different collections and “Groove Metal” is no different. The newest release comes with 1,144 grooves and fills and 255 multi-velocity drum and cymbal samples. That’s a lot of files to mix with my other collections. As you can imagine with that many files, there is something for everyone. There are double kick grooves that will give your metal songs all the punch they need, but there are also straight grooves reminiscent of an AC/DC song. As with the other Beta Monkey collections, these grooves are played by a real drummer, recorded in a professional studio. The grooves aren’t made up on a computer — there is a drummer sitting behind this kit and it shows. One of things you’ll hear — if you listen really close — is that occasionally the drum sticks will hit each other. It’s not obvious enough that you can hear it in the song, but with a good set of headphones, you can. That’s one of the real things that these types of loops bring to the table that you just can’t get anywhere else. The loops aren’t over processed either. They sound real, because they are real. I like it that way. If I want to EQ the kit, I can do that to suit my needs and the type of music I’m playing. Bottom line: if you’re looking for acoustic drum loops, look no further than Beta Monkey.